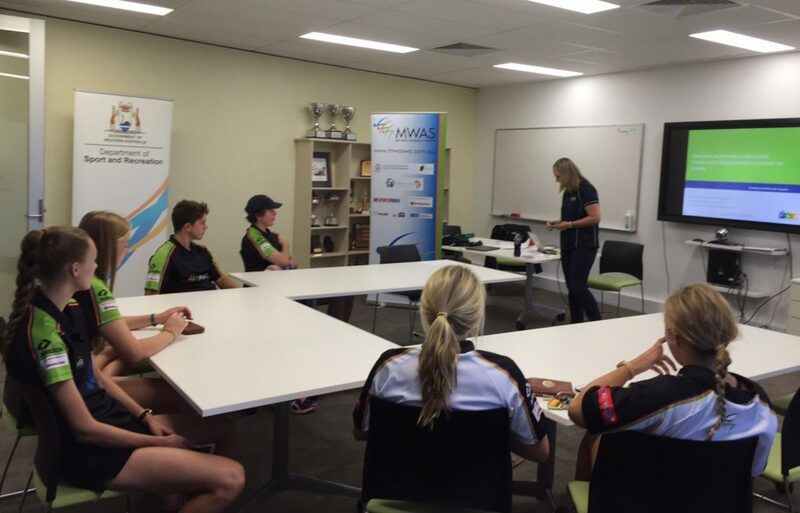 MWAS recognises that even early in the athlete pathway the mind plays the crucial role in performance. Many an athlete has prepared for an event so well physically and failed to perform at their best due to nerves, distractions or some other controllable element. To this end MWAS has engaged support from sport psychologists at TLC Solutions in Perth who are very experienced at all levels of athlete performance. The first of four workshops in mental skills training took place recently at Sports House. Over the weekend sessions were provided for athletes, coaches and parents, recognising that having all parts of the support network informed will lead to better outcomes. In between face to face sessions the athletes utilise Skype to stay connected with the sport psychologist and to keep their individualised program on track.